Renuzit provided a sample for my review. Opinions are always mine! Most of you know that we have a dog and as a pet owner, I'm always looking for a good odor neutralizer. When I heard that Renuzit had a new air freshener, I was happy to try it out. As soon as I took the plastic seal off, a whiff of freshness filled the air. It really smells great and I can't wait to see what my family thinks when they get home. I also like the design of the jar. I can see this easily fitting into a bathroom, kitchen or even a guest bedroom. One Stacie Sayz So reader will win 2 jars to try themselves! Leave a comment. For extra entries, use Rafflecopter. 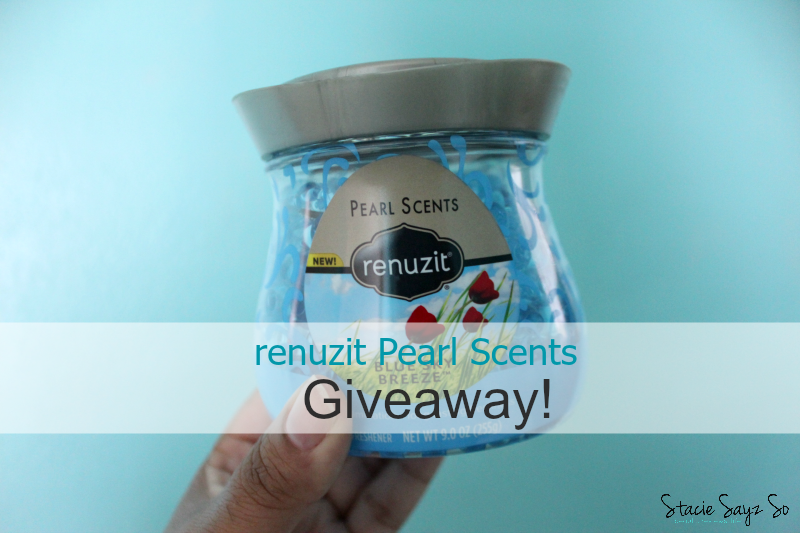 Giveaway ends 5/24/15. US only. oooh another giveaway- count me in!!!! O my word! I just got mine today in the mail. I could smell somethin good through the box! I think I will love this new product! ( not entering) just visiting girl! I'd like to try Fresh Lavender & Eucalyptus. I would love to try the Camomile and Jasmine. Thanks for the post! I would like to try the Sparkling Rain scent. I love walking into my home or any home and smell a nice fresh scent. The sky breeze and lavendar sound just right! Wish there was smellovision from the computer lol. Looks great though. 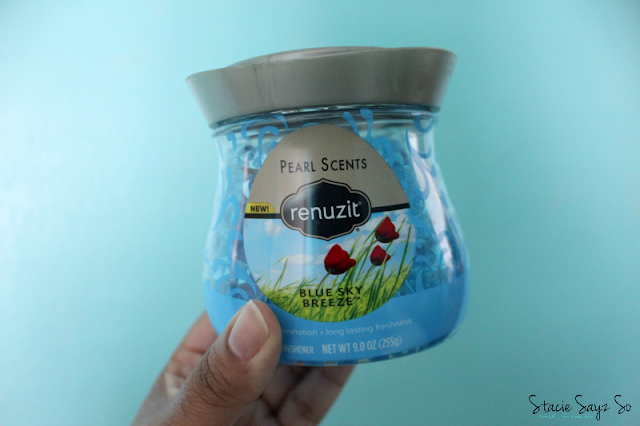 I love these little pearl scents. Sparkling rain sounds like it would be my fave. I would like to try the Seductive Pineapple scent. I am most interested in the Blue Sky Breeze variety. I would choose sparkling rain. I would love to try the Seductive Pineapple scent! 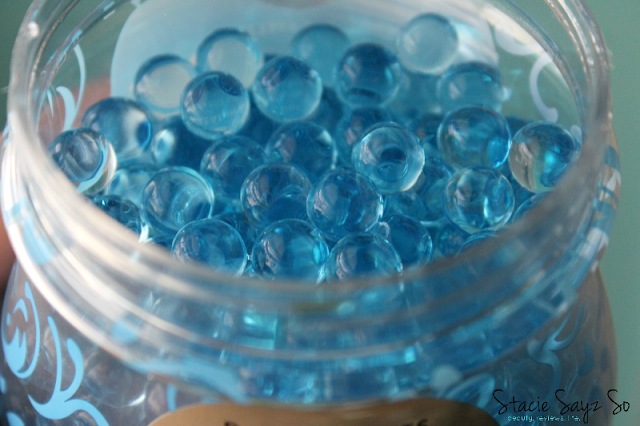 I've always wanted to try these. I think I'd like to try Chamomile & Jasmine the most! I think I would like to try Sparkling Rain. I'd like to try the Serenity scent! I would love to try the Tranquil scent. I'd love to try Tranquil.